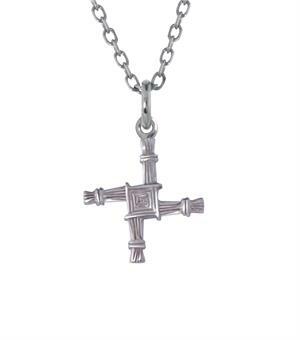 The St. Brigid's Cross Pendant. Beautifully crafted in sterling silver and made in Dublin, Ireland. It also contains the Irish Hallmark by the Assay Office in Dublin Castle. Comes beautifully boxed with a 18" Sterling Silver Chain. The St Brigid's Cross, said to bring protection to the wearer, was originally woven using the reeds that were found by the river in Kildare. 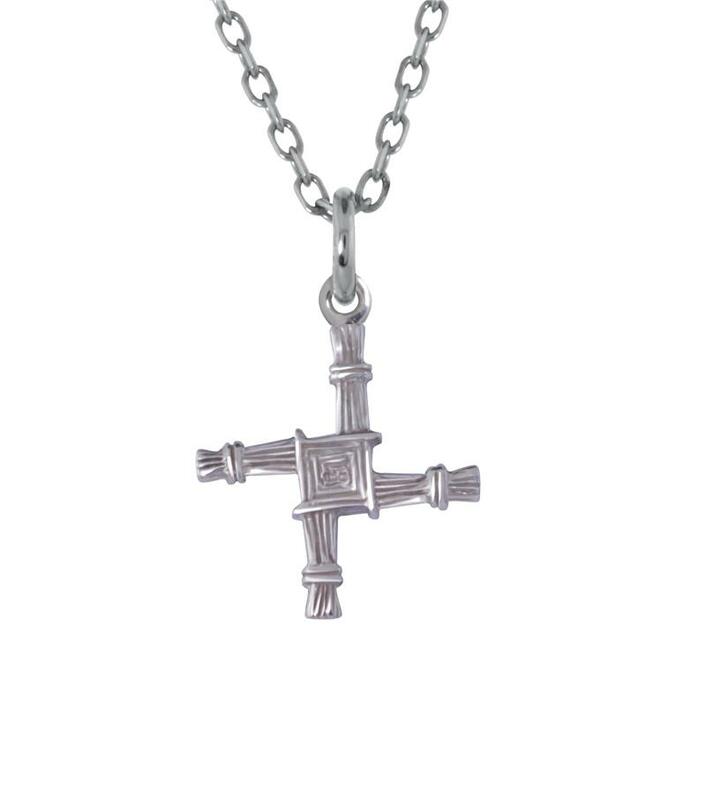 This interpretation in precious metal is inspired by the the original St Brigid's Cross, and is incredibly detailed.